A pearl white dragon with jet-black eyes carries his captivating fairy queen through her darkened kingdom. 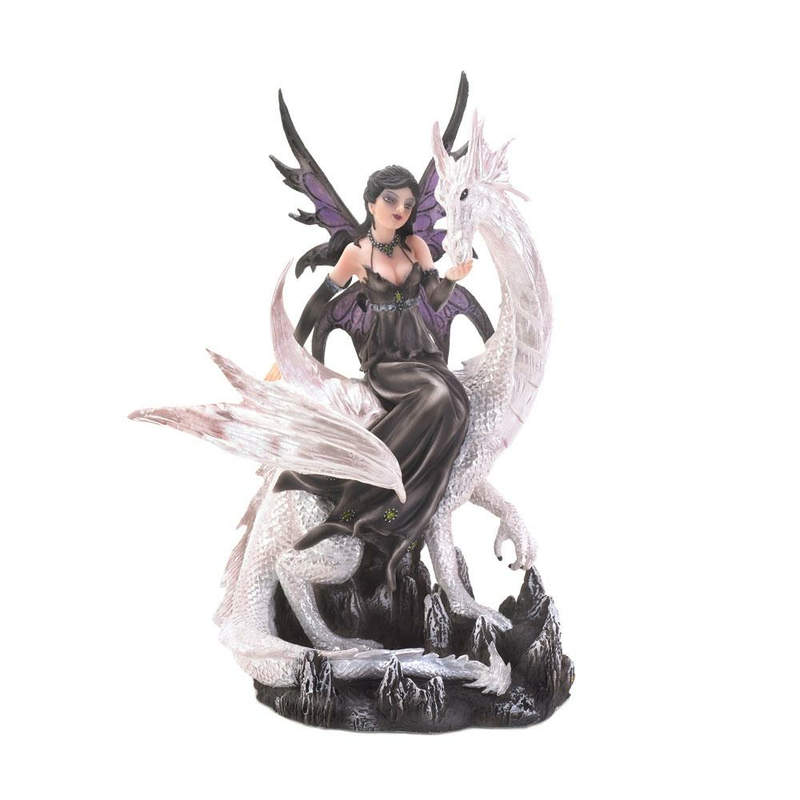 The figurine features gothic touches, dramatic purple and black wings, and a black dress with jeweled accents and matching jewelry. She presides over the shadowy hours with her faithful steed and stunning beauty. Felt lining on bottom. Item weight: 2.2 lbs. 7" x 6¾" x 9¼" high. Polyresin and PVC. UPC: 849179006198.